Seriously, almost everything goes with Nutella right? we just wondering is there anything Nutella can't do? 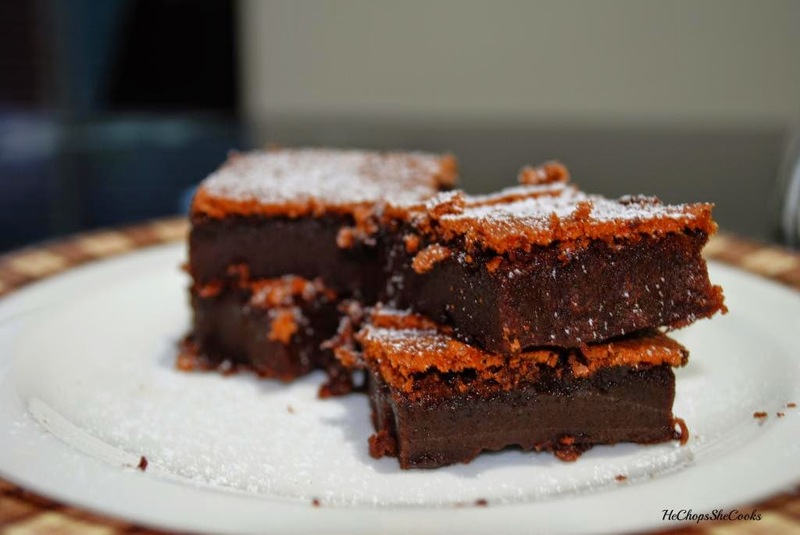 Recently, we baked this beautiful nutella brownies which is so so damn easy until we didn't even know it was this easy LOL...seriously it is super easy, you can close your eyes and do it. Why we said its so EASY? because you only need TWO INGREDIENTS yes you heard us..just TWO . we know if we didn't try it our self, we wouldn't believe it either. 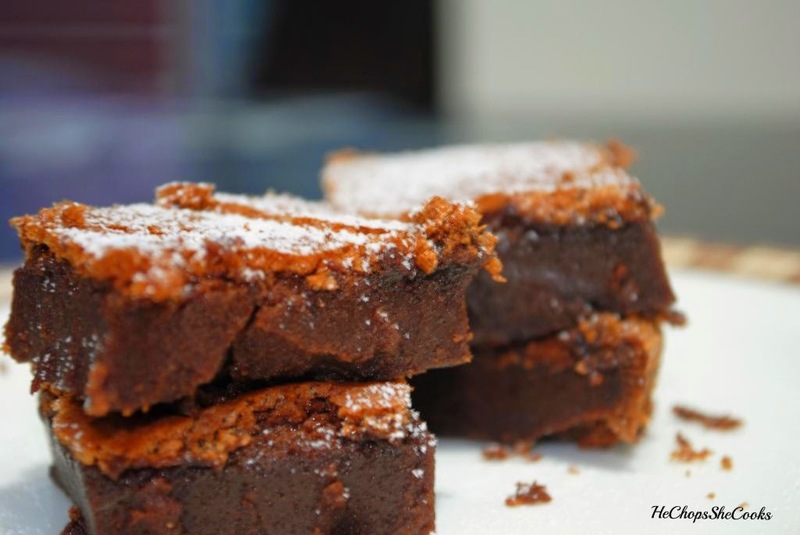 Anyway here's how you can make these beautiful Nutella Brownies. These brownies are just made of 1 cup of Nutella and 4 large eggs. That's it. Perfect for the crowd and incredibly easy. You will crisp on top and fudgy texture. Its simple like abc..
Oh, you really gotta give a good whisk with your eggs to prevent the eggy taste on your brownies. When you whisk your egg make sure you get the light lemon coloured. Use stand mixer or hand mixer and whisk like you mean it! Just keep on whisking until you get that light-lemon coloured. Line the baking dish with parchment. Spray the parchment and sides of the baking dish with cooking spray. Crack all 4 eggs into the bowl of your stand mixer or your mixing bowl. With the whisk attachment, whisk the eggs together. Begin on low speed and gradually increase to medium-high .Whisk until the eggs are light and billowy, 6 to 8 minutes: Continue whisking the eggs until they become light lemon-colored and billowy, and are tripled in bulk. This will take 6 to 8 minutes (slightly longer if you're using a handheld mixer). The more billowy your eggs, the better the texture will be in your brownies and the less "eggy" they will taste. While the eggs are whisking, measure the Nutella and transfer it to a microwave-safe bowl. Heat the Nutella for 1 minute, stopping every 15 seconds to stir the Nutella. When warmed, the Nutella should be loose and creamy. With the mixer on low speed, drop spoonfuls of Nutella into the egg mixture using a spatula. (With a hand-mixer, add a little at a time and mix in between.) Continue mixing until all the Nutella has been added and the Nutella is thoroughly combined with the eggs. Use a spatula to stir the mixture by hand a few times, making sure to scrape the sides and bottom of the bowl where the whisk might have missed. Pour the Nutella mixture into the prepared pan. Use a spatula to scrape the bowl clean. Transfer the dish to the oven and bake for 25 to 30 minutes. The brownies are done when they start to pull away from the sides of the dish and a cake tester inserted into the middle of the brownies comes away clean. Let cool: Let the brownies cool as long as you can. They are delicious while still warm from the oven, but will easily fall apart. 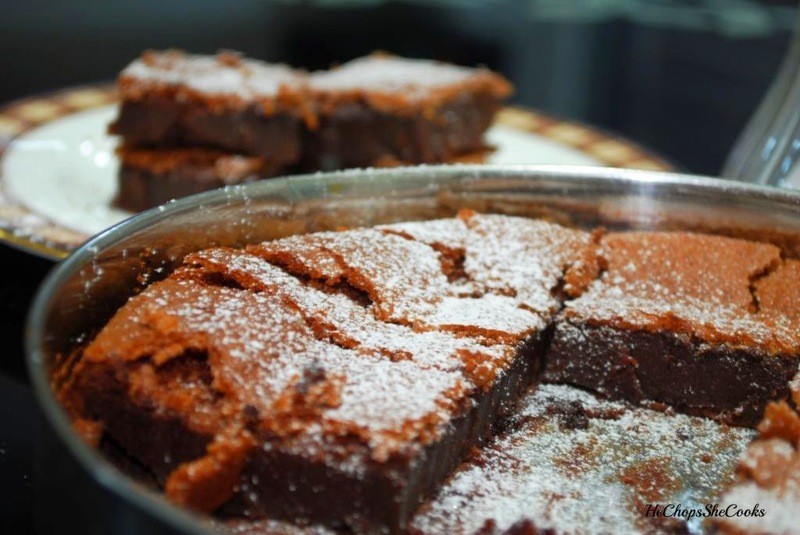 For sturdy brownies, wait until they are completely cooled before cutting or removing them from the pan. You can keep it in the container for a week or so. recipe adapt by the kitchn. Awesome looking forward to that! Ur welcome! Seeing ur post after such a long time shazzy :) lovely!! I ve been busy lately...finally able to settle down and enjoy my time here. Thanks!